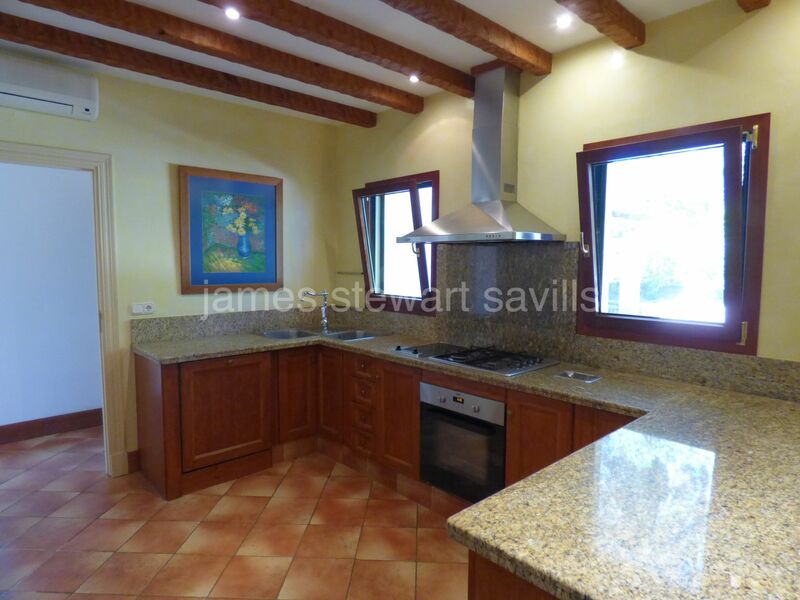 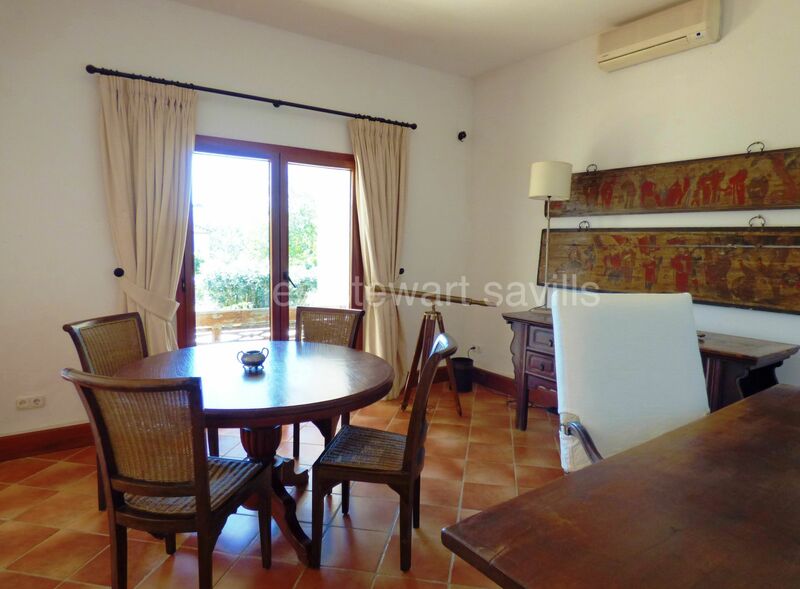 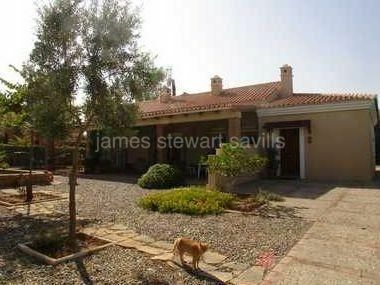 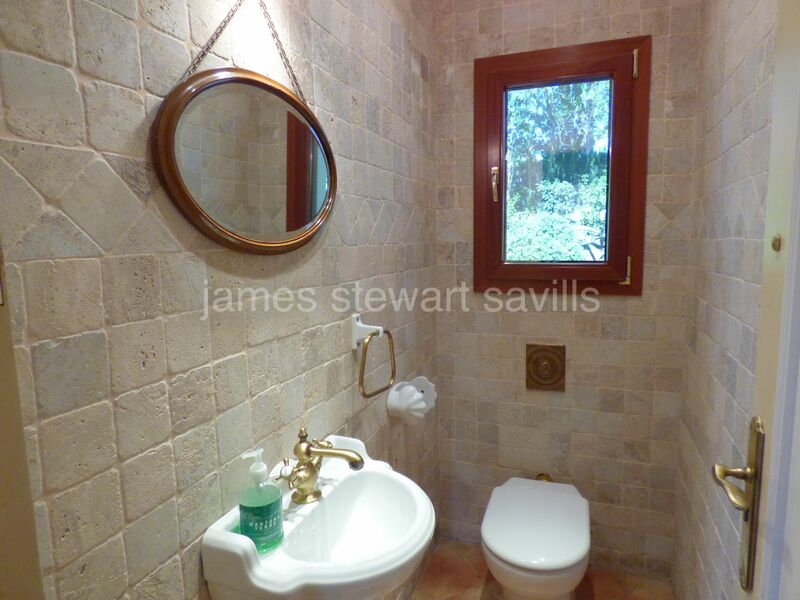 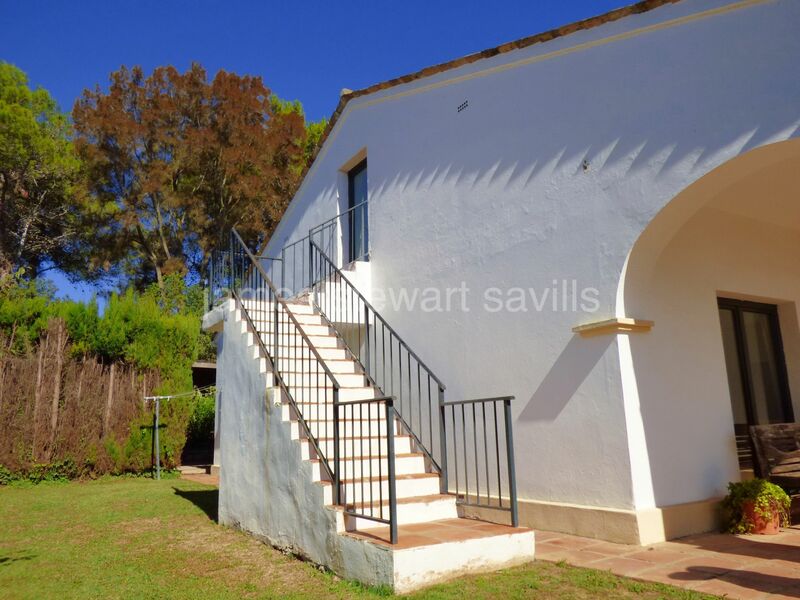 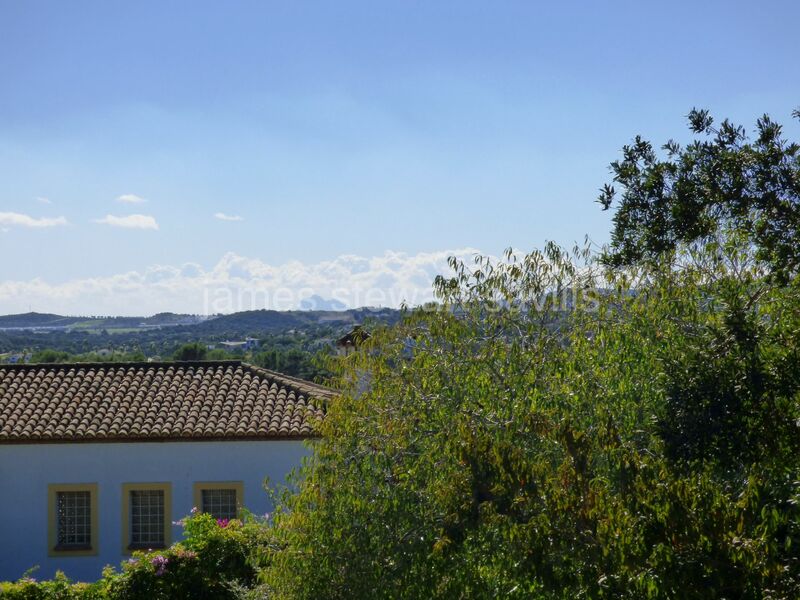 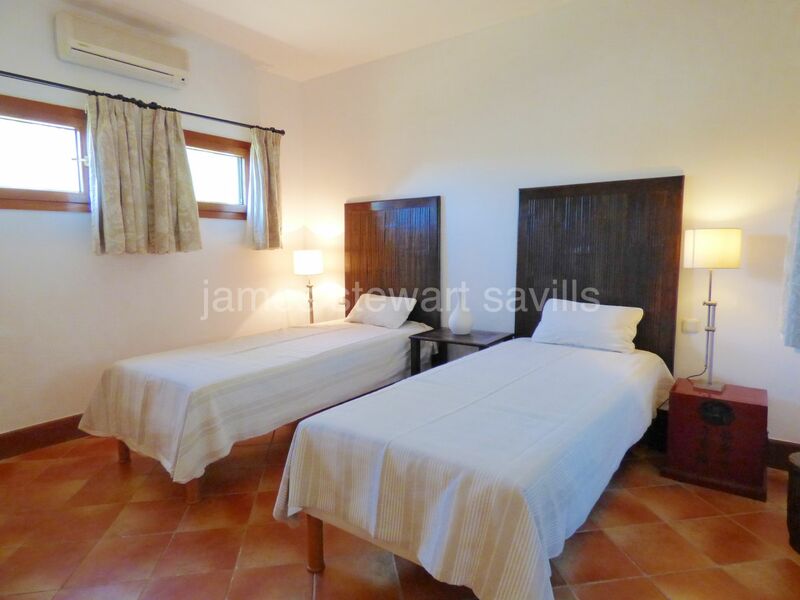 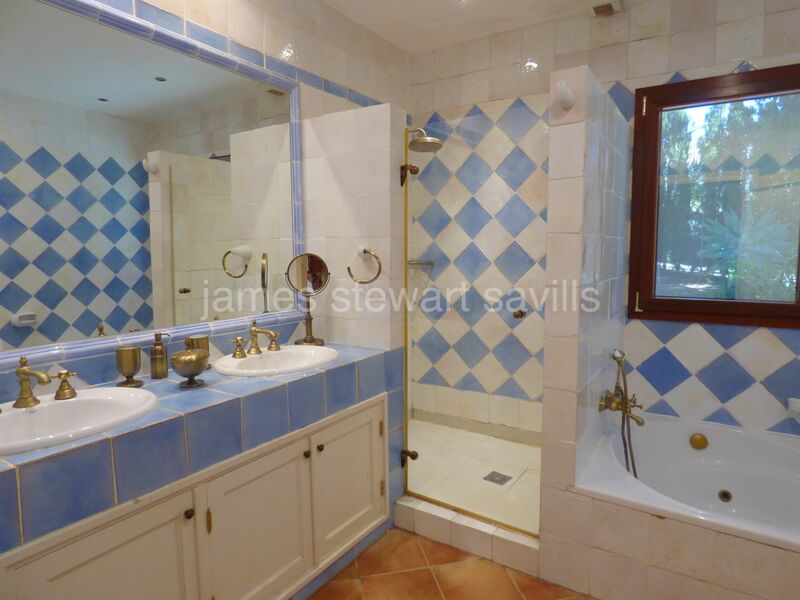 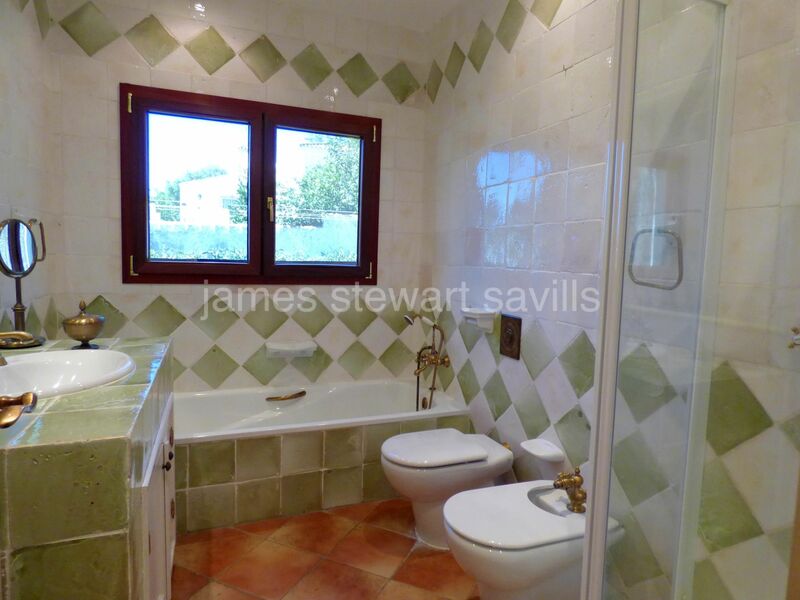 A compact villa in very good condition in the Valderrama area of Sotogrande Alto. 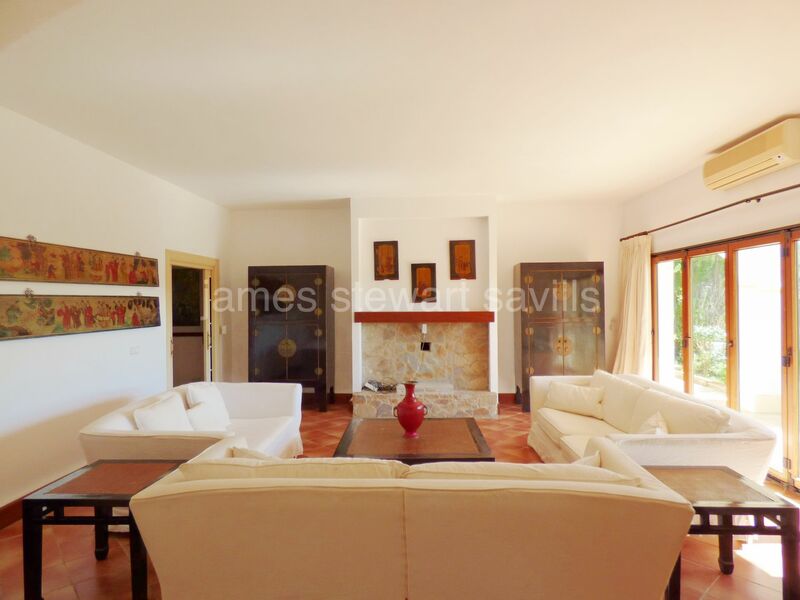 The main living area is on one floor and consists of an entrance hall, living/dining room, kitchen, pantry, a master suite, double en-suite bedroom and a further room which could be a single room or dressing room with cloakroom. 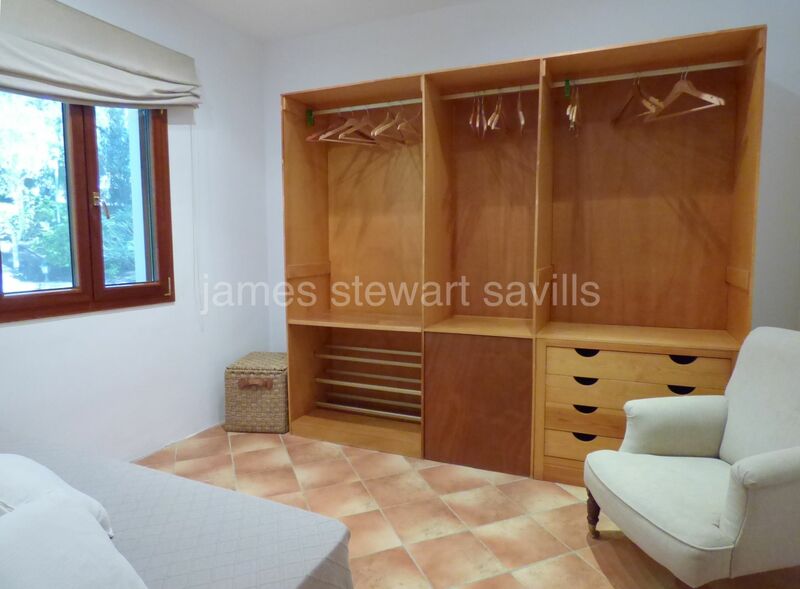 There is an attic room accessed via an external staircase currently used as a storeroom which could be a study or games room. 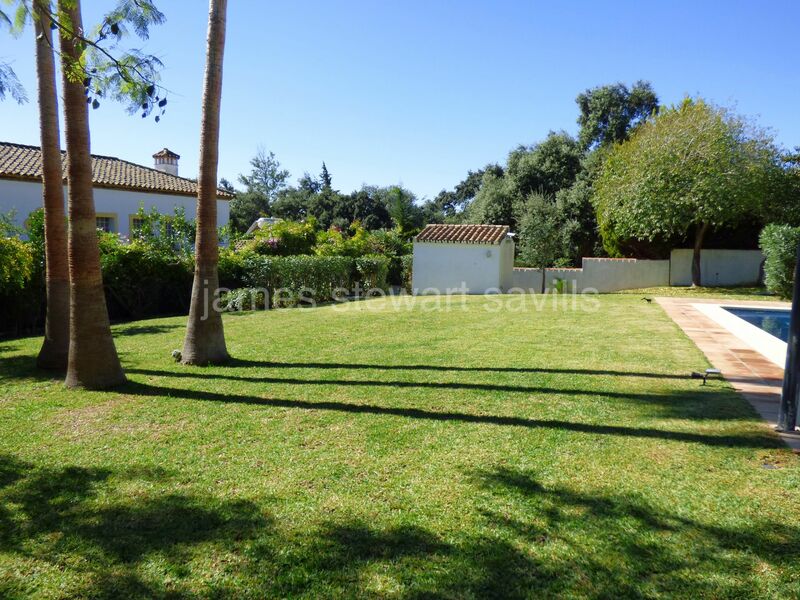 The garden is south facing and mainly flat with a good size pool. 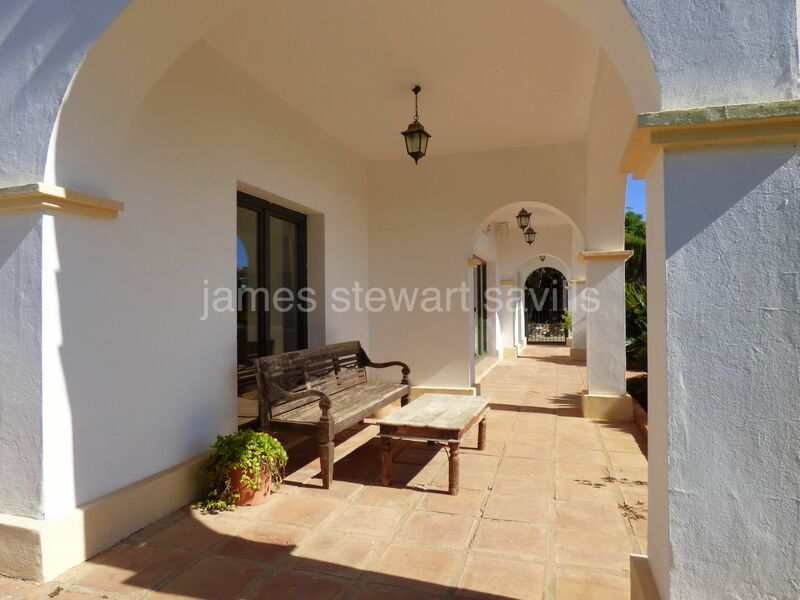 In the entrance forecourt there is a double carport with space for plenty more parking if wanted. 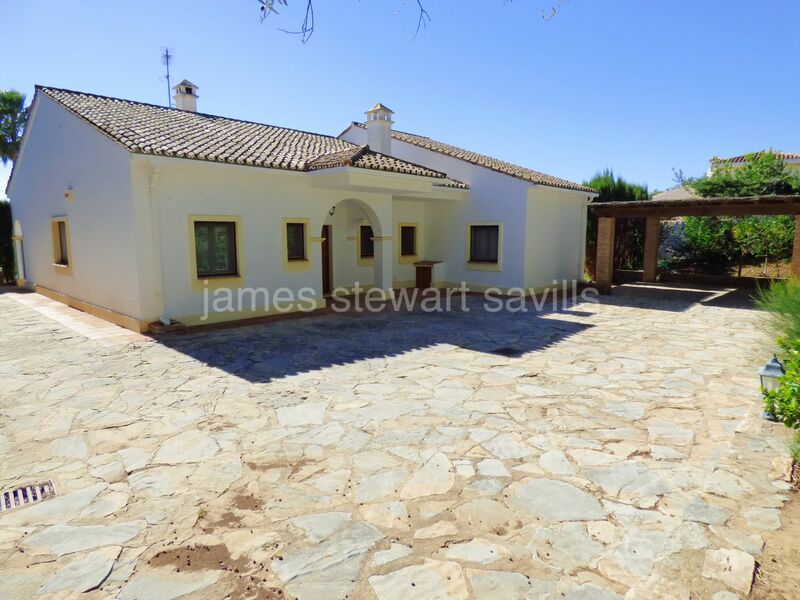 There is plenty of scope to double the build of this property as the plot allows approx. 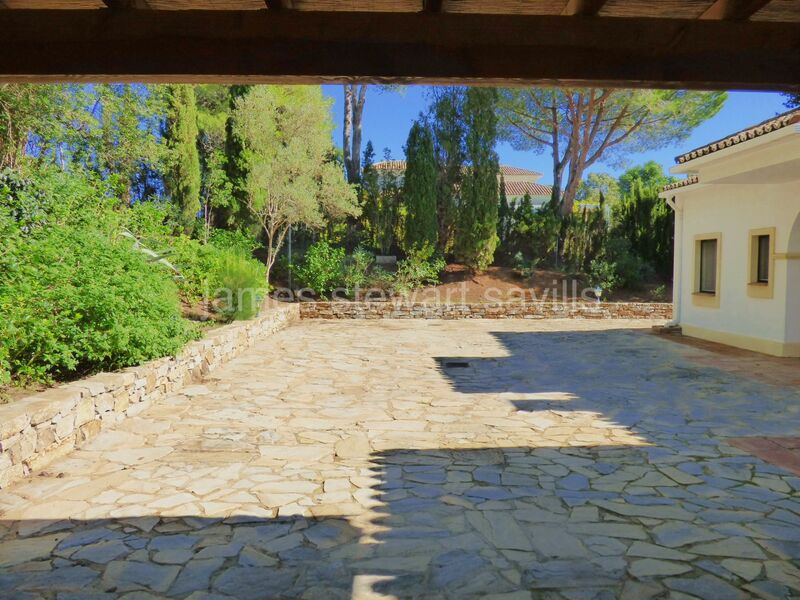 600m2 of construction.